"Everything else was great - location, friendly staff, clean..."
Have a question for Travelodge by Wyndham Downtown Chicago? "The rooms were clean, and staff polite." 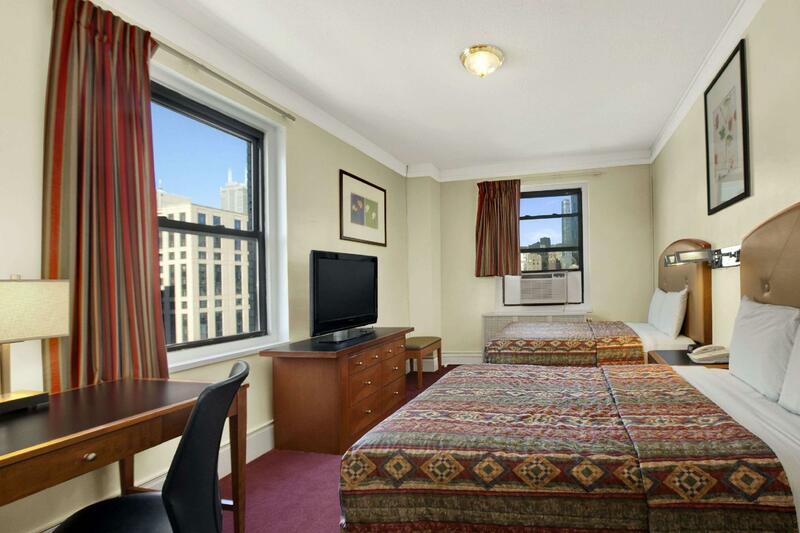 "Very good location very near to Millenium Park." 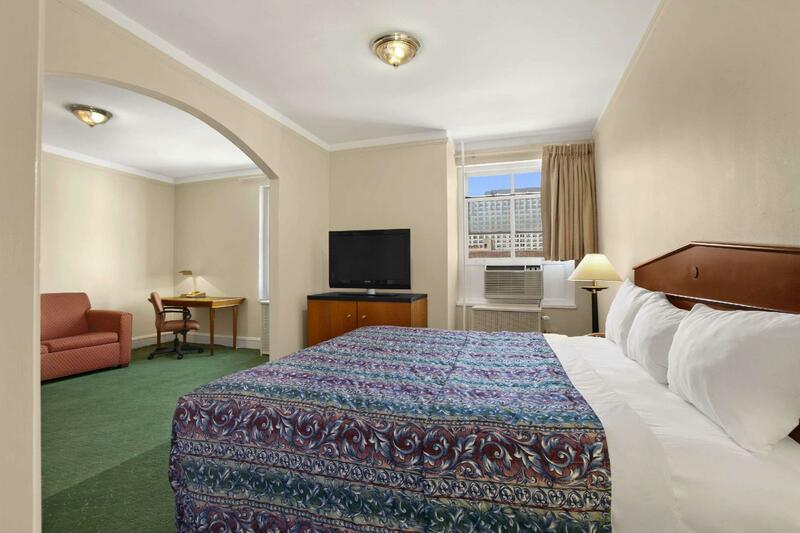 "It's located within walking distance of McCormick Place, as..."
Well-placed in the sightseeing, shopping, restaurants area of Chicago (IL) city, Travelodge Chicago provides a most conducive spot for you to take a break from your busy days. From here, guests can enjoy easy access to all that the lively city has to offer. 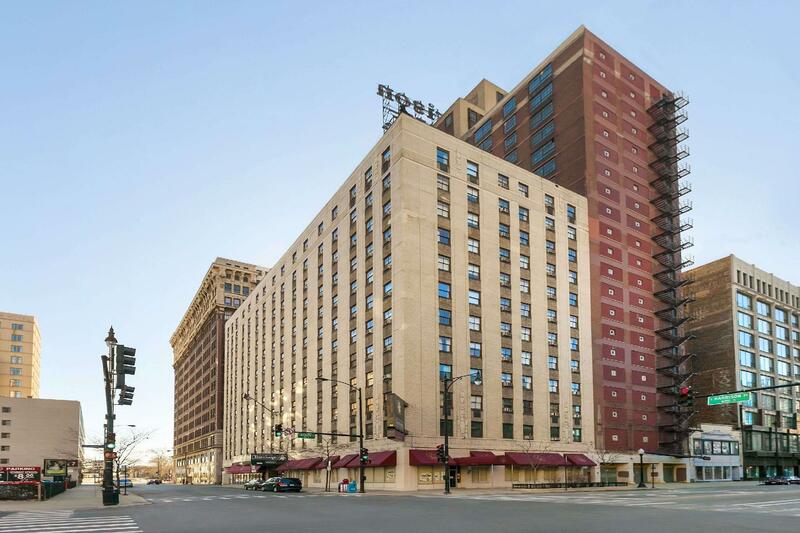 A well-kempt environment and its proximity to Museum of Contemporary Photography, Spertus Institute for Jewish Learning and Leadership, Auditorium Theatre give to this hotel a special charm. 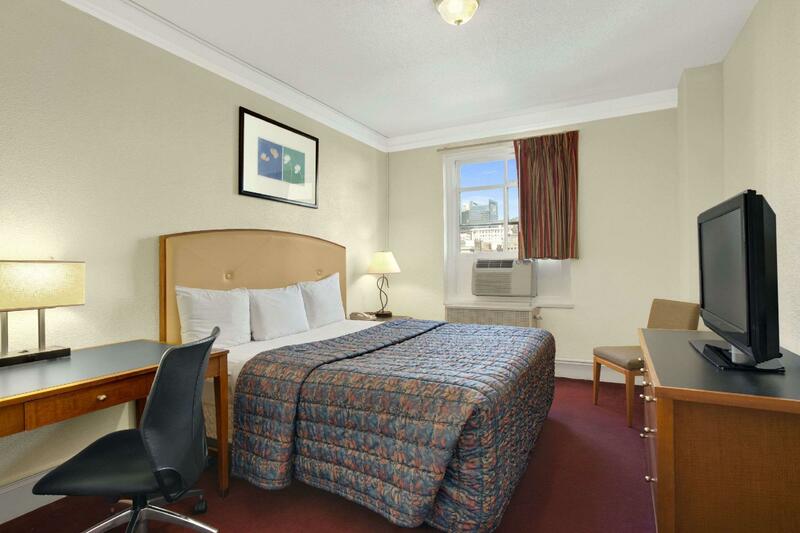 Wyndham Hotels & Resorts is renowned for its quality services and friendly staff, and Travelodge Chicago lives up to expectations. A selection of top-class facilities such as free Wi-Fi in all rooms, daily housekeeping, 24-hour front desk, facilities for disabled guests, luggage storage can be enjoyed at the hotel. Hotel accommodations have been carefully appointed to the highest degree of comfort and convenience. In some of the rooms, guests can find television LCD/plasma screen, linens, mirror, towels, internet access – wireless (complimentary). Besides, the hotel's host of recreational offerings ensures you have plenty to do during your stay. When you are looking for comfortable and convenient accommodations in Chicago (IL), make Travelodge Chicago your home away from home. "I stayed at a good hotel that value for money for first time..."
Must be 21 years of age or older to check-in. Upon check-in photo identification and credit card are required. All special requests are subject to availability upon check-in. Special requests cannot be guaranteed and may incur additional charges. Parking is available in a lot directly across the hotel for a fee of USD 39 per night. Payments are to be made directly to the valet office, located past the pay kiosk. Reservations are not accepted. Guests are required to show a photo identification and credit card upon check-in. Please note that all Special Requests are subject to availability and additional charges may apply. I would not recommend this hotel to a traveller who wants to get a sound and undisturbed sleep. We stayed 2 nights there, on the first night, there were guests from an another room doing a huge party(very loud music, people shouting) from 12.00until 2.00am, we had to called security several times in order for them to take actions! On the second night, there was a screeching sound coming from the corridor during the middle of the night. The heater was not working and we felt cold at night, we informed the front desk they repaired it but at nigh it stopped working. The hotel staff do not know how to welcome guests, they do not even greet and smile at guests! On another note, this hotel is very old with outdated furniture’s. On a brighter side, it is a very convenient location, steps away from major tourist attractions and a lot of restaurants. I would not recommend this hotel for someone who want a sound sleep in order to feel fresh to explore more of the city the next day. I got a room with 2 beds. The beds were ok. The TV is old. The room was a weird layout. All things were functional. Overall this place is fine for minimal time in hotel over maybe a couple days. Close to everything but very noisy. My TV didn't work. The bellhop didn't say thank you when I gave him $5. The reception man was unfriendly. Never will stay again. The bathroom was nice. Old hotel, small room, small bathroom, air/heat unit in the window, not much of a view from window, static TV, but to spend the day out and in Chicago for cheap, can’t beat the price. Paid $125 including tax!! Parked 2 blocks away, $30 day with in&out privalage. 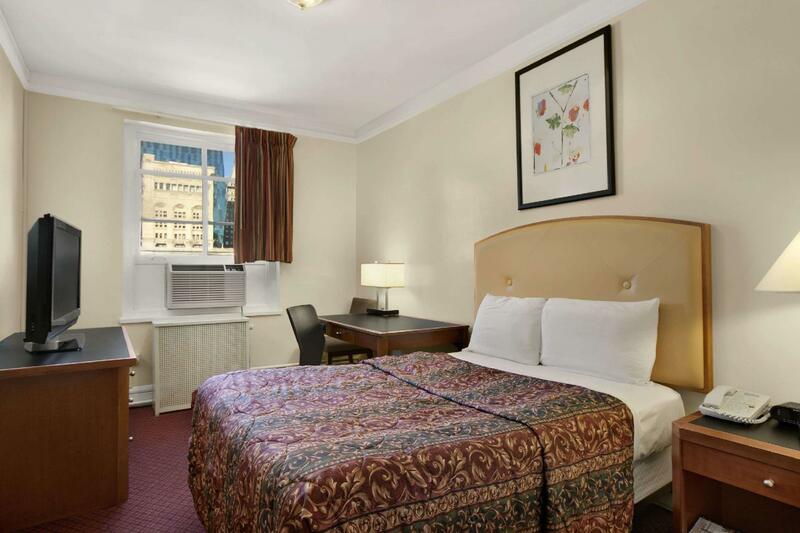 The hotel is located in the loop, so it’s comfortable to travel. However, because there is a trail near hotel, it is loud at night. For me, it doesn’t matter. The room looks old and little bit dirty but not so bad. I wasn't the only room that had this problem. Even with earplugs, I would be slowly but surely woken up whenever the steam heating kicked on within the building. I didn't sleep much. Everything else was great - location, friendly staff, clean room, value. If only they could fix those dang pipes. Very good location very near to Millenium Park. Walking distance to most eating and drinking places. Do not have own parking but parking is just across the street. Room is small and old but basically clean. Stayed 1 night at this hotel to see Hamilton. The CIBC theater is just a 10-minute walk from this hotel. Very accessible from the subway, very near bus stops, lotsa restaurants nearby. Room was big, with a kitchenette with coffee maker, sink and microwave. Bathroom has a tub. Basic necessities such as shampoo, soap, toilet paper was readily available. I had to request for a toothbrush. I was given a toothbrush with no toothpaste! There was an iron and ironing board, hairdryer but there were no slippers. All in all it was a nice stay, staff were accomodating, it's just that they have to anticipate what guests would need for an even better stay! You can't beat this place for location. It's a ten min walk to the Art Institute of Chicago and 20 min walk to the Field Museum. The building is a bit old so it's not shiny new but it doesn't have that run down feel that some old places get either. The staff are lovely. Parking is across the street and costs $39 a night so factor that into the cost of your stay. I would defiantly stay here again. Stayed for 2 nights. It's located within walking distance of McCormick Place, as well as quite a few restaurants. Parking is available across the street. The rooms were clean, and staff polite. It is a standard hotel, for a 2 stars hotel, the price is high. We arrived at Travelodge Chicago and the staff were friendly enough to check us in and gave us a pretty big room (although I think the rooms may all have been this big). The room was spacious and had two double beds. Generally speaking the room looked tired and the room didn't look all that clean either, and the paint scheme of the room certaintly didn't help how drab it looked. The other issue was that the room thermostat didn't work properly, thus I couldn't control the temperature of oil fin heater. Otherwise the hotel was situated in a fairly good location about 30 minutes to all the major attractions of Chicago. Area was generally safe with lots of University students about. Helpful staff, went out of way to help with accommodations. Not bad at all with regard to location, and value for money in comparison to other rates at the time of show.